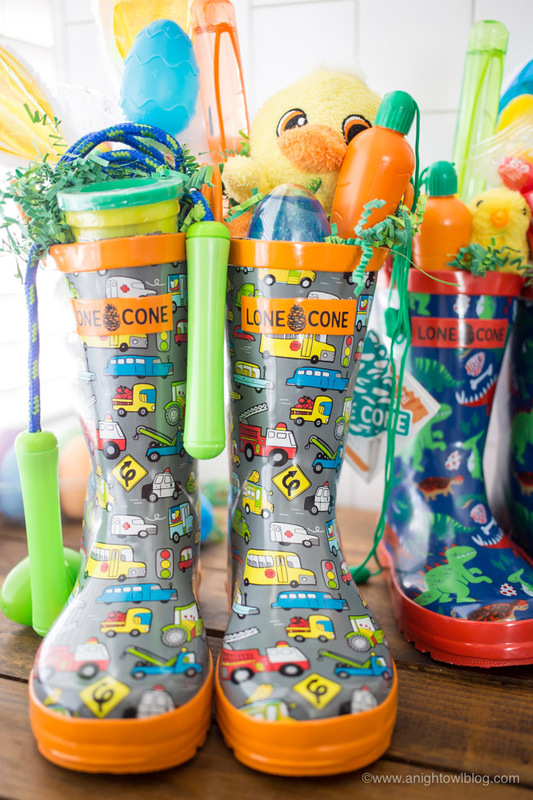 Such a unique and fun Easter basket idea, this year create Rain Boot Easter Baskets for your kids with Lone Cone Rain Boots! Hi friends! Easter is around the corner, can you believe it? For once I’m trying to get ahead of the curve and I actually got everything I needed for the boys Easter baskets early and you know what? Planning ahead paid off. 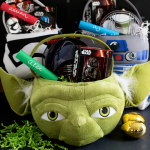 They are probably my favorite Easter baskets I have ever put together and you know why? 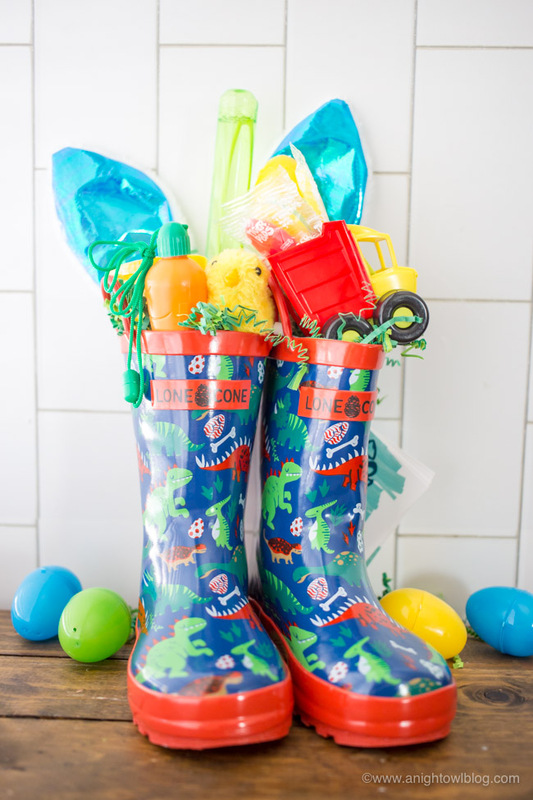 Because they are Rain Boot Easter Baskets and they were not only easy, they couldn’t be any cuter! 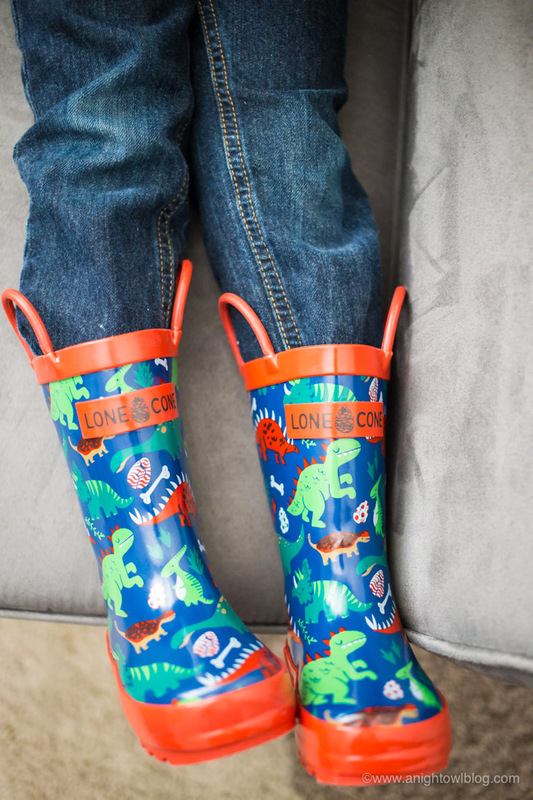 And I started it all with top-rated Lone Cone Rain Boots. 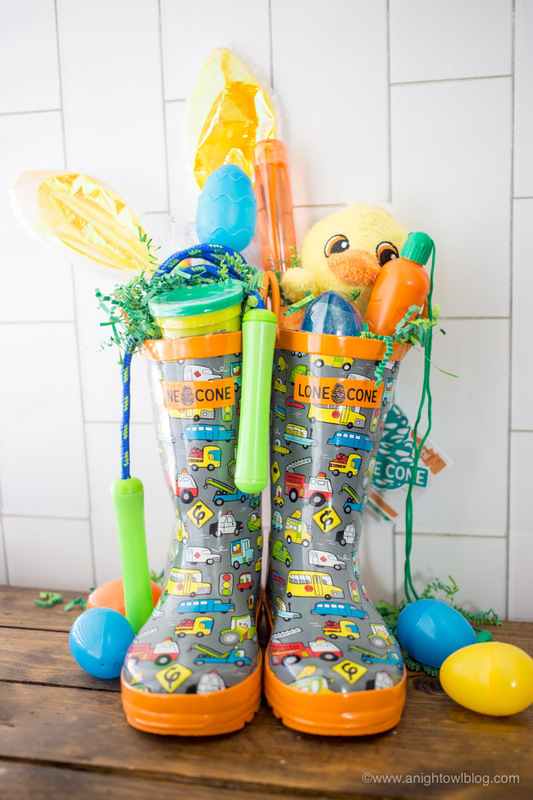 Our adorable Rain Boot Easter Baskets feature our favorite Lone Cone Rain Boots. 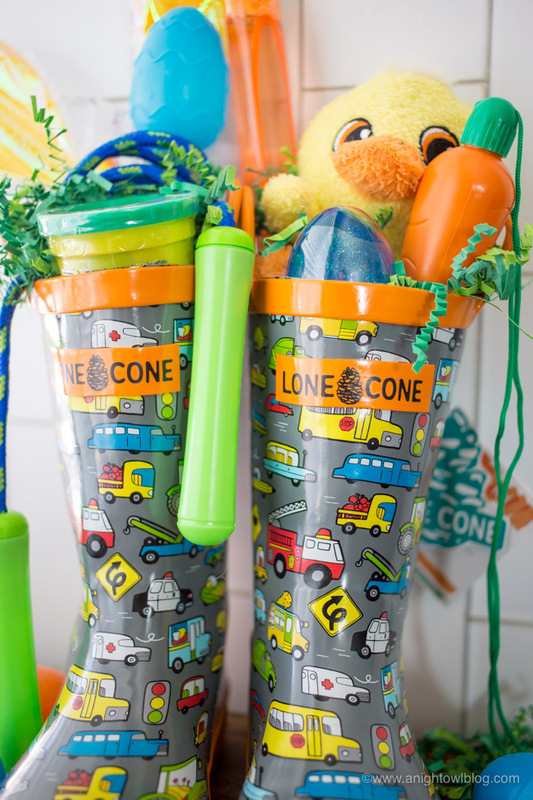 If you haven’t heard of Lone Cone, you have now! 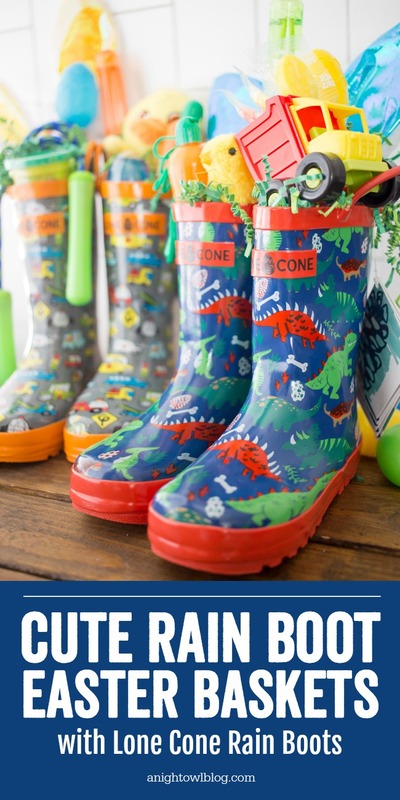 They are the BEST rain boot for your little explorer! 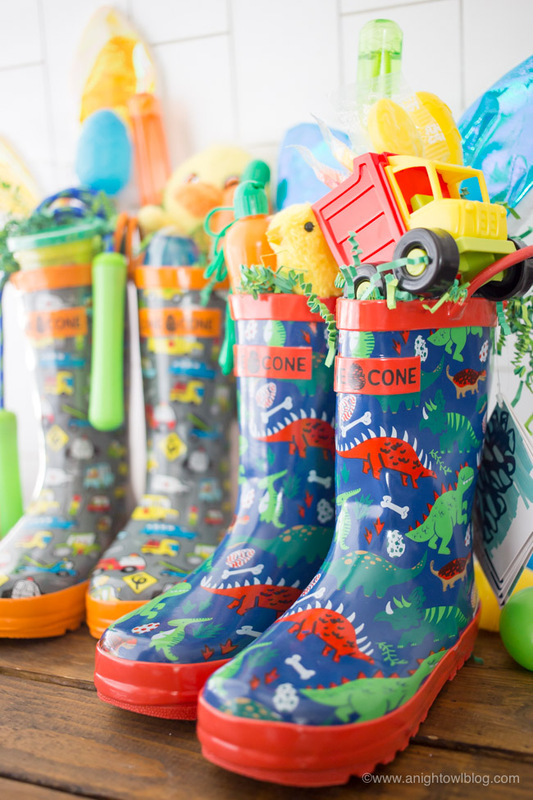 Almost any rain boot can keep kids dry and comfortable. 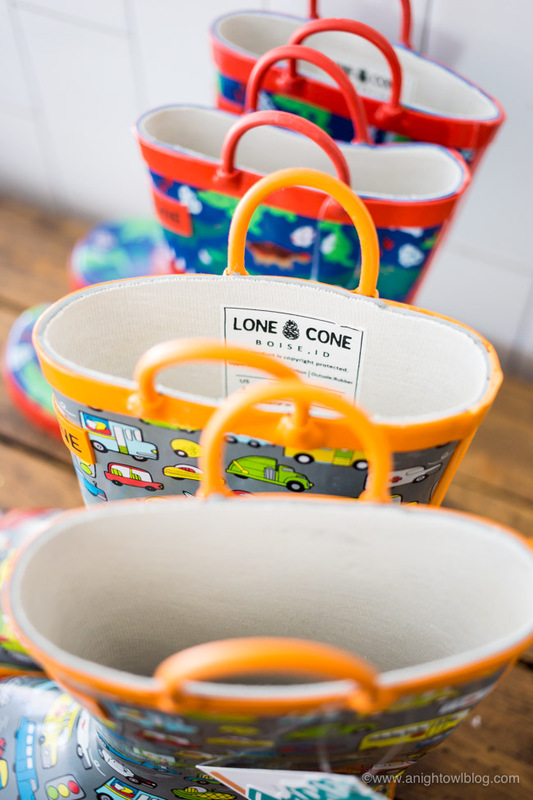 Designed with the help of local artists, only Lone Cone rain boots capture the magic of childhood and are guaranteed to keep up with a whole year of adventures. That’s the reason their boots continue to be one of the bestselling, top-rated choices on Amazon. That’s right, you can rock your “Prime Mom” status and order these adorable boots on Amazon and have them in just a couple days (or you know, one-day if you need to). 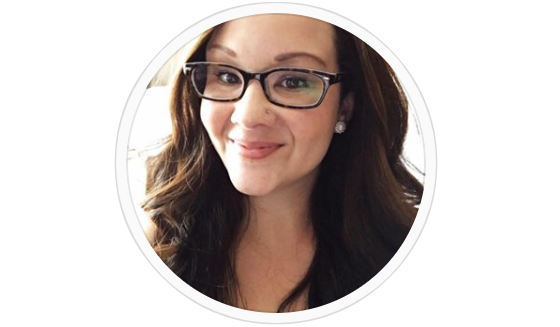 And you’ll look JUST like a “Pinterest Mom,” guaranteed. I mean, you probably saw this on Pinterest, right? 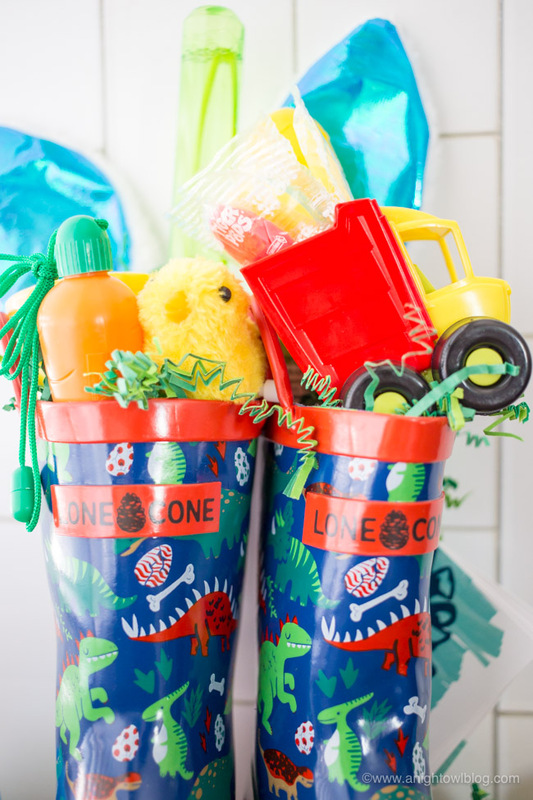 AND you’re going to see what I picked out for the boys here, from car lovers to dinos BUT Lone Cone has a GREAT collection for every child no matter their interests! It’s so easy! I picked up candy and fillers that I usually pop in the boys’ baskets. 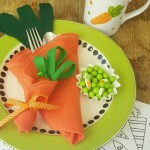 Then I simply filled the rain boots with Easter fun and popped in Easter grass as filler along the way. It took me only a few minutes for each set to get everything that I wanted in. 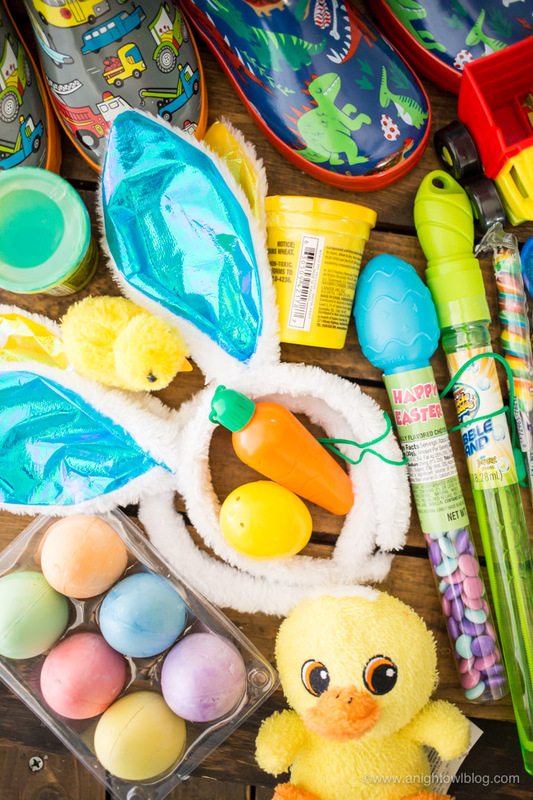 And just think, when it’s all said and done…the Play Doh has been opened and the candy eaten, you don’t have any baskets to store AND your kiddos have something they can use all spring long…doesn’t get better than that, my friends! 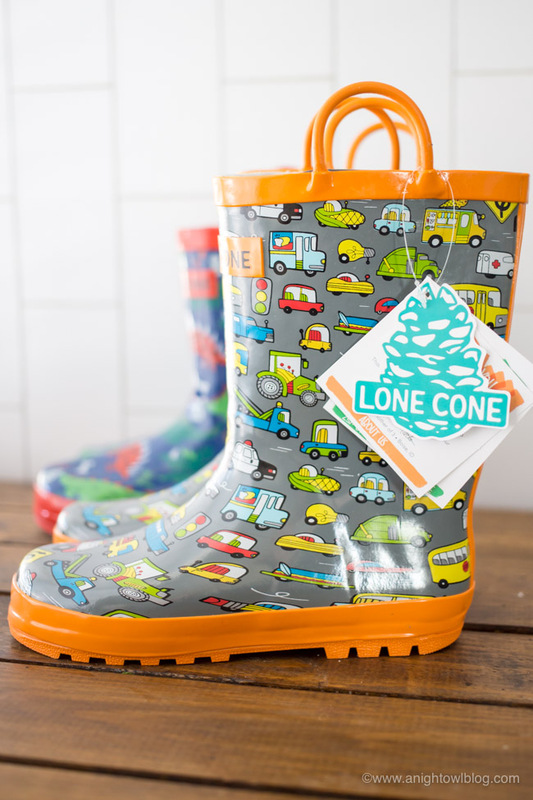 Lone Cone Rain Boots: The bestselling, top-rated choice on Amazon! So many great options to choose from for girls and boys! 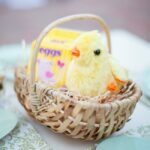 Easter Basket Stuffers: So many great options to choose from. 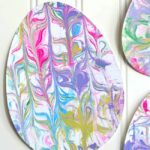 Make Easter easy this year!